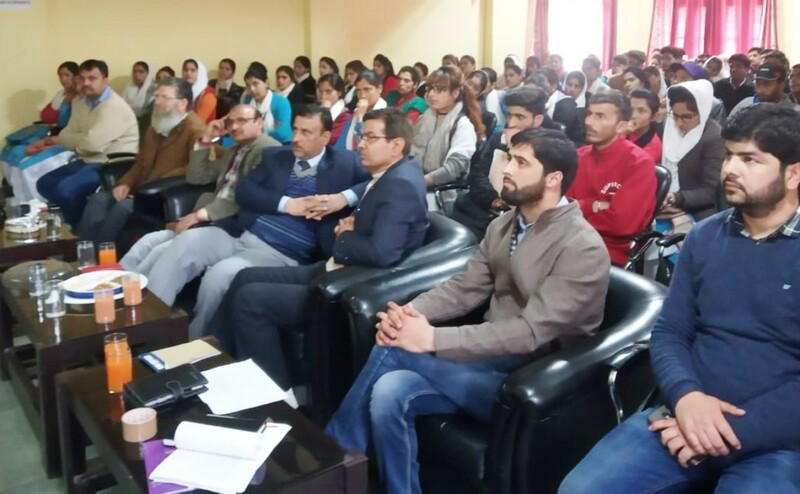 The Jammu and Kashmir Entrepreneurship Development Institute (JKEDI) Saturday organized a boot camp under the J&K Startup Policy at Ramban district of Jammu division. The main objective of the boot camp was to bring mass awareness about the Startup Policy and to inculcate the spirit of innovation among the youth to give a flip to the conversion of innovative ideas into profitable business ventures. The boot camp was organized by the JKEDI district center Ramban and Startup Team of the institute at Government Degree College, Ramban. The program was attended by 153 participants. District Development Commissioner, Ramban, Showkat Aihaz Bhat was the chief guest on the occasion. Principal GDC Ramban, Ravinder Kumar Tikko, faculty and staff of the college were also present on the occasion. The program was conducted by Start Team of JKEDI including Project Manager JKEDI, Syed Firdous, Consultant at JKEDI, Dr Sheikh Fayaz Ahmad, JKEDI District Centre Ramban team including Yashpal, DNO Ramban and Mohsin Hamid, Assistant Faculty. Speaking on the occasion DDC Ramban urged the participants as well as JKEDI to give more focus to activities like olive extraction, pomegranate seeds and beekeeping in the area since it has the potential for these sectors. The startup team members shared their views on the need of the startups and the innovation in the present times. They delivered lectures on the motivation for choosing innovative entrepreneurship.